The Grade 9 Junior Boys’ Basketball Team recently had just that experience as they toured the late singer’s beloved Canso Region for games versus local teams. The light shone bright as we left town. Our team picked up a few Grade 10 players in order to be competitive with the junior varsity high school teams they played against in Canso and Guysborough. Our boys lost by 13 and 5 points respectively in hard fought games. Yuk Kan (Lucas) Tam led the team in scoring with solid support from Justin Day and Yi (Edward) Chang. Kun (Ken) Lee and Kyle Clanachan were very strong on defence and rebounded many balls cleanly off the glass. We also toured St. Francis Xavier University, in Antigonish, as a trip to northern Nova Scotia demands a stop to tour one of the many university options students will have after their KES years. Our team will complete their season with several more local games and the closing Hoopla Tournament in our own gymnasium on February 28th. Our Dr. Seuss inspired, " Oh, The Places You’ll Go! 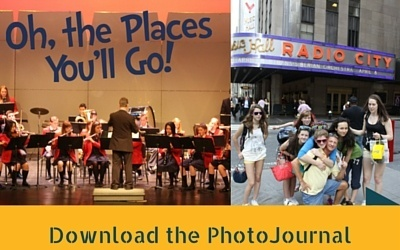 ", PhotoJournal is all about travel as a KES student! Travel is your child's opportunity to soar and be more outside of the classroom. Download your copy to find out more.